This design has been pre-approved through compliance. We strongly suggest that if you have any questions or substantial changes were made that they be resubmitted to compliance. 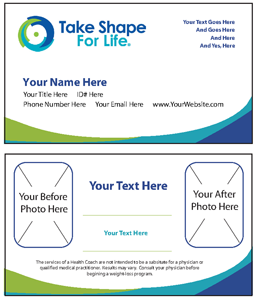 Once your order is received and processed a PDF proof will be sent to you through email. Before signing off on design we strongly recommend this design be submitted to compliance. TriLeaf Designs, LLC does not take any responsibility for compliance. After we receive your approval the piece will go to print. Any time before final approval if you are not satisfied with the result a partial refund can be made. Please contact us at 314.753.5323 or info@TriLeafDesigns.com with any question you might have. © 2011 TriLeaf Designs. All Rights Reserved.